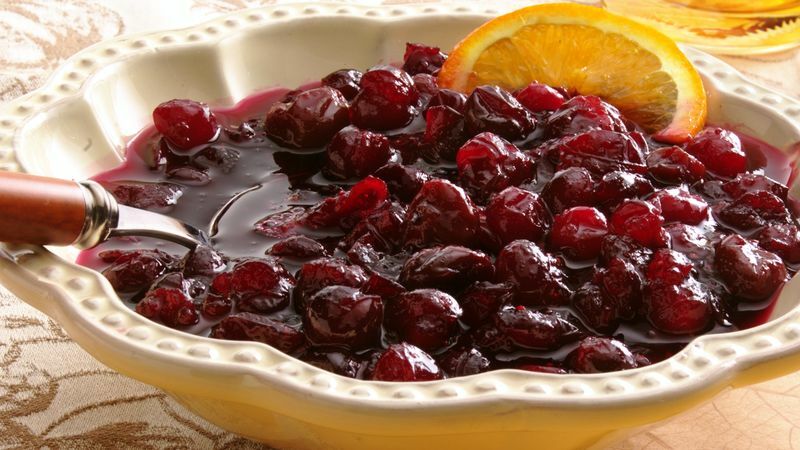 In 3-quart saucepan, mix cranberries, cherries, sugar and water. Heat to boiling. Reduce heat to low; simmer uncovered 10 to 12 minutes, stirring occasionally, until cranberries have popped open. Stir in marmalade. Cool 1 hour. Spoon into serving dish; cover and refrigerate at least 1 hour before serving. Prepare the sauce several days ahead of time. Refrigerate it, covered, in a storage container or in your serving dish.